With the movement toward rewarding doctors based on how well they deliver care comes the question: how to adjust for the different patients doctors see? Authors writing in The American Journal of Managed Care reviewed 13 different studies and made a startling finding—most factors we assume merit adjustments in diabetes care do not, based on evidence thus far. 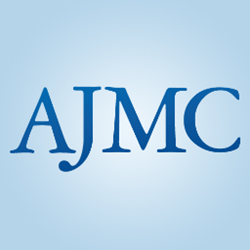 A review of studies on adjustment for the case mix in diabetes care appears in The American Journal of Managed Care. From the point of view of data collection, we would suggest to not invest much in the adjustment, but as the financial incentives based on quality indicators increae, the demand for case-mix adjustment will become infinite. Healthcare’s movement away from fee-for-service toward payment for quality creates a challenge: patients come through the door in many different conditions, and any value-based system must account for that. But deciding how to adjust for individual patient conditions, or the “case mix” a doctor handles, is a tall order. For example, is being overweight the biggest variable in one’s health, or being old? Do the variables that matter most change with different diseases? In the February issue of The American Journal of Managed Care, authors led by Hiske Calsbeek, PhD, RN, tried to sort out which factors matter most within the realm of diabetes care—an important place to start, since it’s an area of focus for the Centers for Medicare and Medicaid Services and commercial payers. For the full article, click here. After reviewing 13 studies through June 2013 and pulling out 23 different factors that could affect A1C, they found that just two—body mass index and marital status—showed clear evidence that they deserved to be adjusted in the case mix to determine quality of care. Most of the variables culled from the studies concerned demographics and diabetes-related factors, such as how long patients had the disease or whether they had comorbidities. There’s a reasons for adjusting for factors when proof remains thin—there’s money involved. Doctors who score poorly on quality measures often insist, “my patients are sicker.” Do the authors think the demand for such adjustments will go away, based on their findings? Hardly.